Spero Patricios is Managing Director at Launch Factory, a leading brand experience agency. 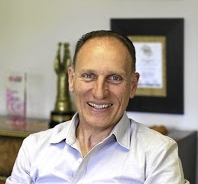 A recognised advertising heavyweight Spero has been involved in the industry for over 30 years and has accumulated numerous awards including Loeries, London International, New York as well as Greek Businessman of the Year which was awarded by ex-South African president Nelson Mandela. Spero was responsible for Launching Coca Cola in Dubai, Bahrain & Dubai when Coca Cola was introduced to the Middle East. 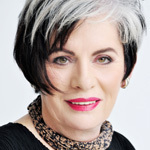 Sheila McGillivray, is the Tribe Leader at One Lady and a Tribe Advertising, who singlehandedly put South Africa’s very first live TV commercial, Hyperama Price Busters, on air, and who, with a passionate team working with her, has built the Centrum Guardian branded content campaign into the award-winner it has become. The Guardians are the courageous folk who work for South Africa’s Emergency Services – the paramedics, firemen and national sea rescuers – and together with the multivitamin brand Centrum, One Lady & a Tribe have made it possible to dedicate a TV series and award-winning campaign to them. Sheila’s knowledge of the advertising industry spans four decades. And, it’s the years between then from JWT London, TBWA, Grey, McCann De Villiers to Saatchi Saatchi X and now that have provided Sheila with an intimate knowledge of the communications industry….her passion is Cause Marketing – doing good and doing good business.